Have you noticed the brightness in her eyes when you laugh? Have you felt the unrest in her when you are sick? Have you sensed the pride in her when you succeed? Have you seen her pray quietly when you step out of the door? Have you watched trying her best to cheer you up on a rather gloomy day? for all that she does for you each and every day? That’s the grace of a Mother! Mother’s love is the strongest, the most selfless of emotions. And, nothing in the world can be compared to it. Mother’s Day celebrated on May 13 this year (the second Sunday of May) celebrates the care, love, commitment, and strength of every mother. It is a day to salute the woman who has silently dedicated each day of her life to you. Akshaya Patra has always had the pleasant opportunity to associate with mothers. Be it in the form of employees, mothers of beneficiaries, would-be mothers (through the feeding initiative of expecting and lactating mothers) or mothers of employees. This Mother’s Day, we share a small story of a mother-son duo who advocates the significance of education. Naveen, an Akshaya Patra employee has been working in the organisation for the past one year as part of the Vehicle Maintenance Team. He ensures all vehicle-related issues are attended to and solved without any delay. While he was pursuing Diploma in Mechanical Engineering, a sudden financial crisis compelled him to discontinue his studies and seek for a job. It was then that he was referred to Akshaya Patra. Acquainted with Akshaya Patra’s mission, Naveen was happy to join the Foundation. With a fulfilling job in hand, now Naveen not only takes care of his family but has also resumed his studies through correspondence. Like Lalithamma and Naveen, all of us have our own special story. And, celebrating this special bond, Akshaya Patra wishes everyone a very Happy Mother’s Day! Please use the below comment section to share your special ‘Mom & Me’ story. We would love to hear it! Akshaya Tritiya, signifying ’the day of gold‘, falls on between mid-April and mid-May on the third day of the lunar month’s bright half. It is the birthday of the goddess of food – Annapurna Devi. The festival holds great importance for the Hindu and Jain communities. The word Akshaya stands for ‘unlimited’, while Tritiya means ‘third day’. There are a lot of legends that are associated with this occasion. One famous reference is found in The Mahabharata, when the Pandavas had to go into exile for 13 years in the forest. During this exile, quite a lot of Brahmanas followed them. But Yudishthir requested the Brahmanas to turn back, since he couldn’t provide them with food or protection in the forest. However, the Brahmanas refused to return and decided to fend for themselves. Grieved over his inability to provide them with food, Yudhisthir then cried out and meditated on Surya, singing hymns in his praise. Surya then appeared before Yudisthira and gave him Akshaya Patra – the vessel of unlimited food. The entire troupe then set out to Kamyaka forest, since they now had an unlimited supply of food. Much like the Akshaya Patra in the Mahabharata, The Akshaya Patra Foundation too aims to be an unlimited source of food for the unfed children of India. Through our school lunch programme, run alongside the Government of India, we feed the children in Government and Government-aided schools across India. Thus for us, Akshaya Tritiya is the most auspicious occasion to encourage more donors to donate for the cause of Food for Education and join hands in feeding the children of India. Donating on Akshaya Tritiya gives you an added blessing as your charity is going for a noble purpose that completely lives up to the spirit of this occasion. As a gesture of homage on the birthday of Annapurna Devi, you can choose to provide ‘anna’ to the children by feeding them with nutritious meals through Akshaya Patra’s school meal programme. We wouldn’t be the ‘unlimited vessel’ for the purpose of feeding the children had it not been for generous donors around the world. You may choose to make use of the auspicious occasion of Akshaya Tritiya in order to reach out to the future of our nation – our children. Celebrations for a new beginning! New beginnings, new promises, and joy and celebrations fill the air across India as the month of April sets in. This spring month rings in New Year for many Indian states. Yes, India celebrates New Year in various regions at various times – typifying the diversity of culture and traditions in the country. Just like each region has its unique culture and tradition, it also has its specific day to celebrate New Year based on the solar and lunar calendar. Between 13th and 15th of April, New Year is celebrated as Rongali Bihu in Assam, Bishuva Sankranti in Odisha and Puthandu in Tamil Nadu. 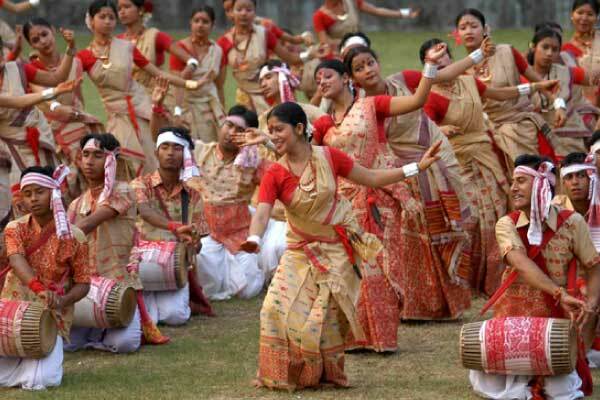 Rongali Bihu marks the New Year and the beginning of the agriculture season in Assam. This spring festival is celebrated with much enthusiasm, faith, and joy. Amidst traditional rituals, music, dance, and regional delicacies, this festive season spreads the message of happiness, good regards, and comradeship in the society. Amidst pulsating revelry, we must also remember our fellowmates, especially children, who would love to be a part of the celebrations but are devoid of basic needs like food. Here, the service of The Akshaya Patra Foundation that has been operating in Assam since 2010 becomes evident. Akshaya Patra, a mid-day meal NGO in Assam is striving towards transforming lives of children by providing freshly cooked, nutritious lunch to children on each school day. Presently, it is impacting 47,249 children in 607 government schools in the state. This Rongali Bihu, you can make a lasting difference in the lives of these young children by supporting our cause and filling the year for these children with the goodness of healthy meals and richness of rightful education. 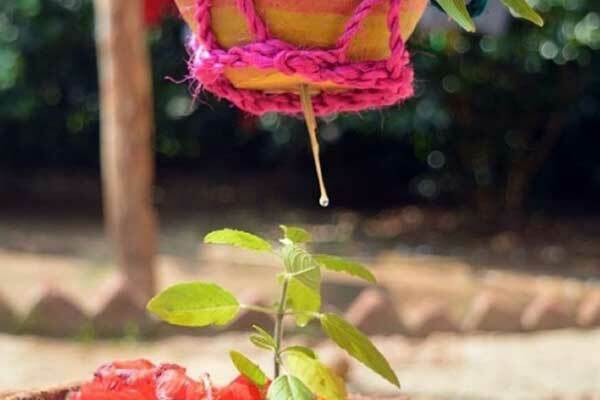 Maha Bishuva Sankranti or Pana Sankranti is the traditional New Year in Odisha. People offer prayers at temples, perform rituals, visit fairs, spectate various activities such as dances, acrobatics, ancient forms of performances such as fire walks, and relish delicious feasts. This auspicious occasion is considered to bring prosperity in the fresh year. While paying respect to age-old customs, let’s also take note of our future progress that rests in the hands of the children. Let us make a conscious effort to provide for children who have the zeal to learn but lack in resources. Akshaya Patra, a mid-day meal NGO operating in Odisha since 2006 is striving towards improving lives of children by providing freshly cooked, wholesome meals to children on each school day. Presently, it is impacting the lives of 1,80,140 children in 1,840 government schools in the state. This Maha Bishuva Sankranti, choose to positively alter the future of young children by supporting our cause and aiding children for a prosperous future. Puthandu is the traditional New Year day celebrated in Tamil Nadu. 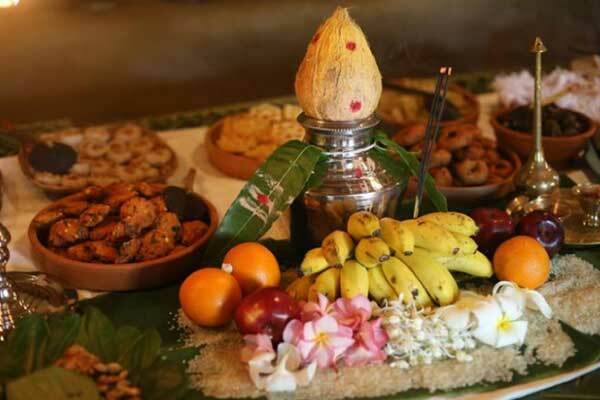 The day is characteristic of rituals such as wake up to the sight of a traditional tray arranged with flowers, jewellery, money, betel leaves, areca nuts, three fruits – bananas, mangoes, and jackfruit, and a mirror, and making kolam – traditional design made on floor with coloured rice powder; and making The festival symbolises hope for new opportunities, growth, and prosperity. Most us may follow the tradition to wake up to a sight that is considered to bring good fortune. But, there are many who wake up every day with the looming doubt of whether or not they will receive the day’s meal; and these unfortunate mornings are a part of young children’s lives too! This Puthandu, give new hopes and signs of prosperity to young children by supporting Akshaya Patra’s cause of providing food for education. Akshaya Patra, a mid-day meal NGO provides freshly cooked, healthy meals to 731 school children in the state on each school day. We may belong to different states, yet we are united with the common thread of being Indians. These traditional festivals bring families, friends, and the entire community together. Along with the pomp and show, these festivals spread the message of unity, brotherhood, and cultural solidarity. They teach us to spread hope, joy, and good regards, while also encouraging the practice of offering charity so that the entire society can progress and prosper together. 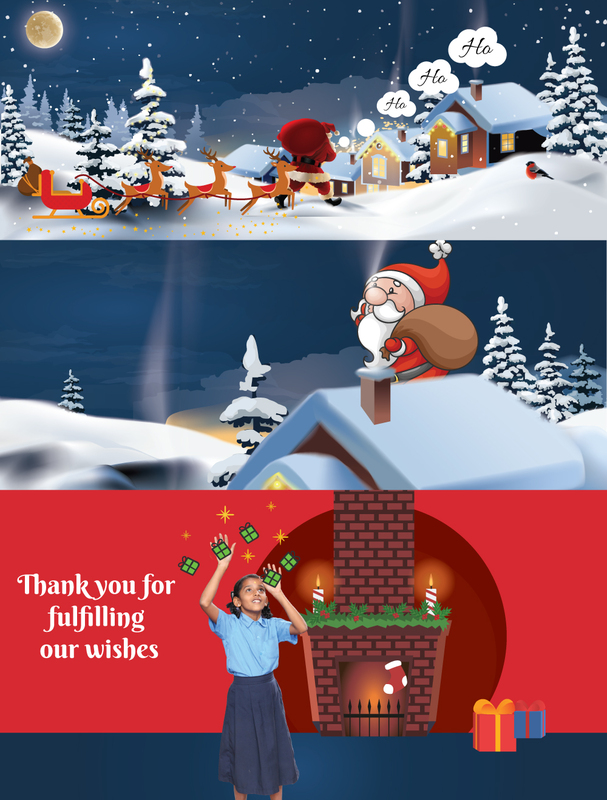 So, in the spirit of unity and the festive season, support and convey your affection to those little Indians who equally deserve to celebrate but may not have the means to! Akshaya Patra wishes each and everyone a very happy and prosperous New Year! Over 1.6 million children, 13,800+ schools, 33 kitchens, 12 states and the count still continues. Wondering what we are talking about? These are the milestones we have achieved in the last 17 years of our service to children. Yes, it’s our birthday on November 11!Over 1.6 million children, 13,800+ schools, 33 kitchens, 12 states and the count still continues. Wondering what we are talking about? These are the milestones we have achieved in the last 17 years of our service to children. Yes, it’s our birthday on November 11! We started with just 1,500 children in a school in Bengaluru, in the year 2000. The aim was to ensure that every school-going child gets to focus on studies without worrying about working to earn his or her meals. But then, we realised that there were many more children across the country who were forced to earn their meals. They were unable to attend school because of that. This made us add more kitchens to increase our reach. We currently have 33 kitchens in 12 states across India. • The Foundation encountered its first challenge in the beginning of its endeavor when the vessels of khichdi would come back half-filled to the kitchen and there was no demand of a second helping. The headmaster of one of the schools helped the Foundation solve the mystery. He told us that the children need simple food, like something that is prepared at home. That’s when rice and sambar was introduced in the menu. Serving curd along with the meal proved to be a hit. • Another challenge was to ensure that the food reaches schools on time. The routes were chalked out in advance to ensure that drivers don’t get confused and lose their way. • The rice cooked in the schools was found to be sticky by the students. A machine was devised, which pushed the cooked grain downward. This ensured that the rice doesn’t get overcooked. • With the staple food being roti in north India, the Foundation had to serve chapatis in the region. When making so many chapatis manually became impossible, the Foundation wanted to introduce a roti-making machine. Finding right one, which prepared chapatis in the way that children liked, looked impossible. After experimenting with a biscuit-making machine, which was customised to make rotis, finally the Foundation was able to deliver chapatis to the schools. • Akshaya Patra conferred with the Asian MAKE (Most Admired Knowledge Enterprise) award by CII (Confederation of Indian Industry). Keeping our corporate philosophy of focusing on water conservation, providing nutritious food and education for school children, we are pleased to have been associated with Akshaya Patra. We are particularly impressed with the back end kitchen facilities which were hygienically clean. Wishing the children a great future under your patronage. On this National Education Day, when we also celebrate our birthday, we feel proud of nourishing over 1.6 million children and helping them aspire for a better future. While the journey has been exciting and challenging, the response we have received is overwhelming. It makes us happy to see children motivated to come to school and focus on studies, rather than being forced to work. They are assured a wholesome meal in a day. Working towards the same cause of ensuring education for all, Akshaya Patra aspires to serve 5 million children. Support us in our cause. Donate Today. Karnataka turns 62! And for The Akshaya Patra Foundation, Karnataka is the birthplace. Every year, 1st November is celebrated as Kannada Rajyotsava, the day that the state of Karnataka was formed. On this day, in 1956 all the Kannada speaking areas of South India were merged into a new state. The state was initially called Mysore, but this was considered too reminiscent of the old princely regiment, and the name was changed to Karnataka on 1st November 1973. The entire state celebrates Kannada Rajyotsava with much enthusiasm. The state is dotted with red and yellow as the Karnataka flag is hoisted at important locations, and the state anthem is sung. The beauty of this day is that it is enjoyed with as much excitement across all age groups, religion, gender and income, making it a truly wholesome and inclusive celebration. Local citizens also get to honour the good Samaritans of the society as the State Government bestows the Rajyotsava Awards on people who have contributed in a noteworthy way to the development of the state. Kannada Rajyotsava is really a day to pay tribute to the state of Karnataka, celebrate its progress and work to its continued development. This can be done in many ways according to your individual capabilities. Karnataka is the birthplace of The Akshaya Patra Foundation. Way back in 2000, the Foundation began its mission of providing ‘unlimited food for education’ in five Government schools of Bengaluru. And, from this very state it spread out to 11 other states in India. Today, Akshaya Patra is supporting education of 4,43,476 children in 2,866 Government and Government-aided schools by providing nutritious meals on each school day. In Karnataka, the Foundation is providing nutritious meals to children from our seven dedicated kitchens. The two kitchens in Bengaluru are ISO 22000:2005 certified, the Ballari and Hubballi kitchens are ISO 22000:2005, ISO 14001, OHSAS 18001 certified, and the kitchens in Mangaluru, Mysuru, and Jigani are in the process of certification. In addition to implementing the Mid-Day Meal Scheme, Akshaya Patra is implementing the Government of Karnataka’s Ksheera Bhagya Scheme. Recently, it has also launched a pilot in partnership with the Government of Karnataka and ICRISAT to introduce millets in the Mid-Day Meal Scheme with an aim to enhance the nutritional intake of the beneficiaries. Akshaya Patra wholeheartedly acknowledges the incredible support it has been receiving from the State Government, donors, and well-wishers during its journey of 18 years. While the Foundation has been providing ‘unlimited food for education’ to the current beneficiaries, there are thousands of more children waiting for wholesome meals. And, so that it can continue to serve the children, it appeals to all for continued support. by supporting health and education of children! In a quiet lane of Nagpur’s Khamla area lies a small school by the name of Nishatai Wankhede Uchcha Prathamik Shala (Nishatai Wankhede Higher Primary School). Here, we met an adorable brother-sister duo – Aarti and Mohit Patle – studying in Std VII and Std VI respectively. The school knows them as siblings who can never be separated. That’s how we got to speak with them together and also got to experience the love they have for each other. When asked to elaborate on his ambitions, he says, “I want to nab criminals. I like the way CID officers hold their guns and catch criminals. To be eligible to take up such a job, I need to study well and build my strength. I exercise and run every day to be fit and qualify for the same. He counts English, Hindi and Mathematics as his favourite subjects and kabaddi as his most liked sport. “I like reading in English. I communicate with my friends in Hindi. I like challenges and with Mathematics, I get to solve the sums. Therefore, I like the subject.” he adds. Mohit’s 13-year-old sister Aarti, studying in Std VII, looked at him fondly as he speaks with us. When we asked her about her ambition, she says that she sees herself as a civil engineer in future. “I want to design buildings. I enjoy drawing. I would need this skill to make designs of building so I am happy about it,” she said. Her favourite subjects, she said, are Mathematics and English. “I like reading stories of inspirational people in English,” she continued. Her favourite teacher is her English teacher, Miss Dandekar, because, “She encourages children to study well,” she says. The siblings’ family is the one that encourages their educational pursuits. Their father is an electrician and mother works as a house help. They have three other siblings – a 24-year-old sister pursuing a polytechnic course; another 20-year-old sister studying Bachelors in Science (BSc); and an 18-year-old brother who works for the upcoming Nagpur Metro project, whilst studying for the entrance exam for Indian Railways. All the elder siblings encourage and motivate Mohit and Aarti to study well so that they attract good employment opportunities in future. Their brother helps them understand lessons at home and ensures that they finish their schoolwork. We hope the duo continue finding much encouragement and support to pursue their dreams! Support other children like Mohit and Aarti through our NGO. Donate Today.